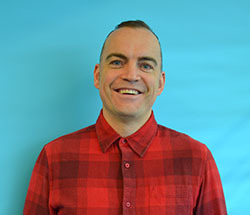 Who’s behind TransLink’s Social Media channels? Hello Buzzer readers! 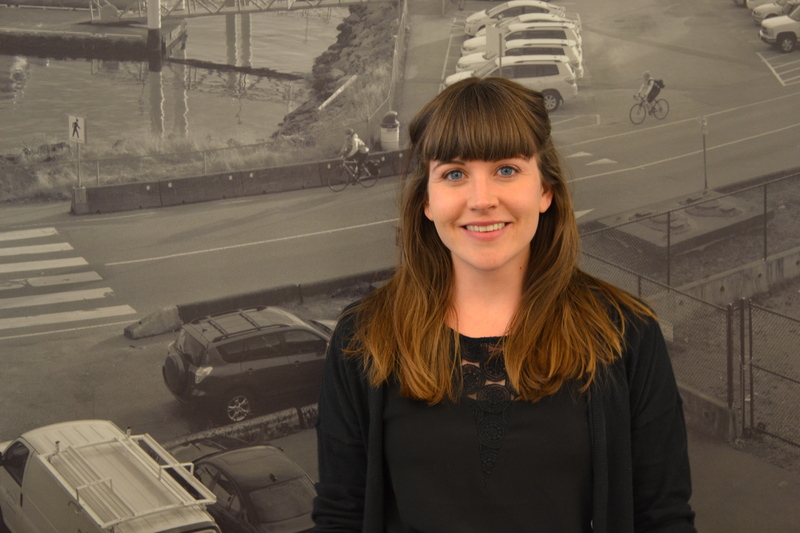 It’s been a while since we’ve shined the spotlight on the people who put the blog and so much of TransLink’s social media together. First off, there’s the amazing and award-winning Customer Information team who look after TransLink’s official Twitter account. Their tireless work has been a model for other like-minded agencies and they’ve become a indispensable channel for all things service related and more! Hello hello! Although, you may have seen a few of my posts already, I’m happy to get my official introduction to you. While I’m relatively new to the TransLink communications team, I’m not new to the organization. Previously, I worked in communications at Coast Mountain Bus Company, where I learned the nitty gritty about the bus world. Now that I’m a quasi bus nerd, I’ve become the go-to bus expert in communications. Like most of my TransLink peeps, I use transit ALL. THE. TIME. Although I share a car with my husband, it’s so busy in Vancouver and I absolutely hate traffic, so I much prefer to walk or take SkyTrain (hello, Mark III). My favourite bus route is #99 – I love that I never have to check the schedule and it’s super handy for me! 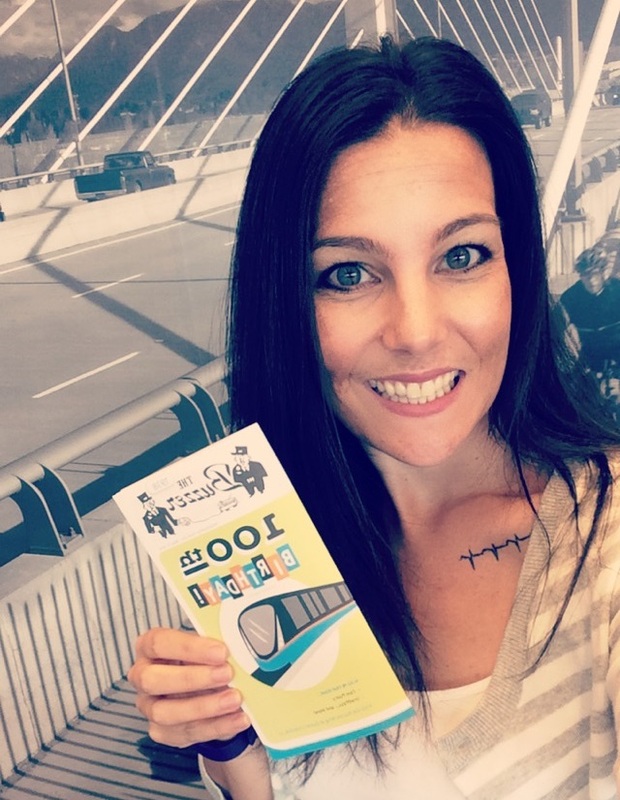 My best transit memory was when I was working at Coast Mountain Bus Company, I had the opportunity to learn more about Transit Security firsthand. Read more about my experience in Bike Patrol training. I will hopefully be posting and interacting with all of you on a regular basis. Stay tuned to the blog so you’re in the loop on new and exciting TransLink projects. First job: McDonald’s, but mostly in the drive-thru. That’s where they put the all-stars. First car: ‘89 Dodge Aries in maroon. The lock on the driver’s side door was broken, so I’d unlock it on the passenger side and crawl over to the driver’s seat EVERY TIME. Favourite chain restaurant: Red Robin. The only place where you can get a plate of fries as an appy for FREE! Meet Jordan – our newest Buzzer contributor! Hello Buzzer Blog readers – although you may have seen a few of my posts already, I am excited to be officially introduced to all of you! 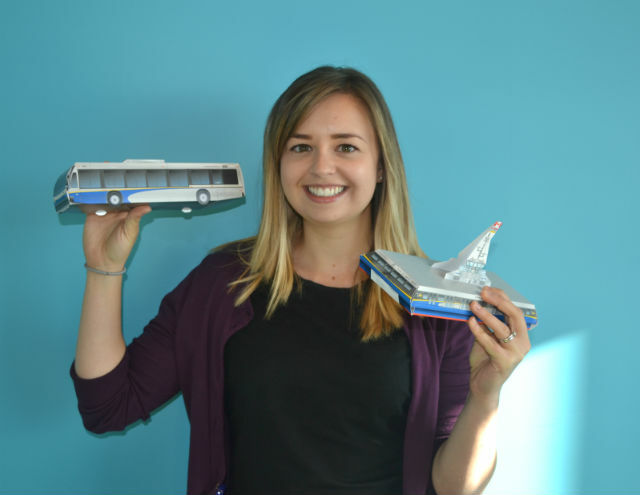 I joined the TransLink communications team in October last year, and I will hopefully be posting to the blog and interacting with all of you on a regular basis. I hate to admit it, but prior to joining TransLink my exposure and knowledge about transit was fairly limited. The past few months have been quite exciting for me; having this opportunity to learn about all things transit has been a great experience. I grew up in a small community in BC’s northern interior with a pretty dismal transit system (which I never used), and after moving to North Vancouver three years ago – I still drove my car a lot. 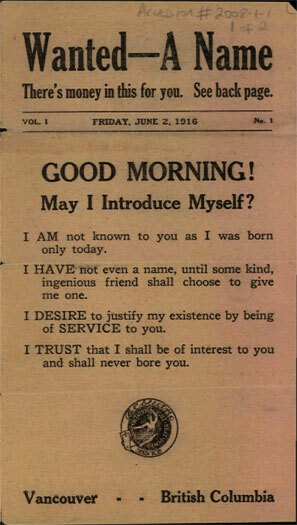 How times have changed! 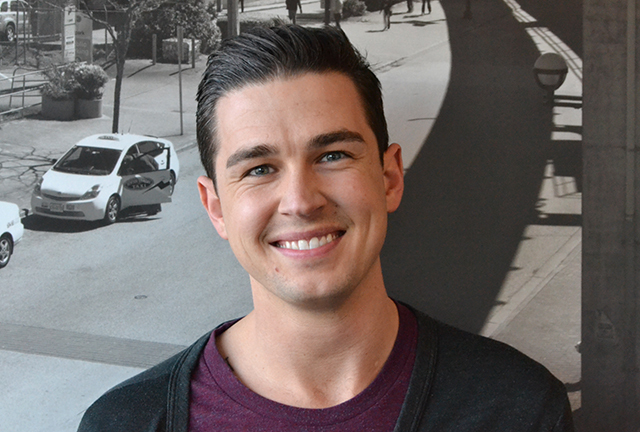 I live in Vancouver and take transit everywhere – I haven’t driven my car in over a year. I can now say that I fully appreciate how incredible (and complex) Metro Vancouver’s integrated transit network really is. I am excited to share new stories with all of you and keeping you in the know on TransLink projects and initiatives. Welcome to Throwback City. Population: Buzzer blog! With this series we re-publish some awesome old pieces from days in the Buzzer blog’s history. Today we look at January 16, 2008. The Buzzer blog was a mere pup, not even a year old! The Canada Line was shiny and brand new and the Buzzer blog editor at the time took to interviewing two talented photographers who just happened to be the artists behind the largest collection of Canada Line construction photos! Go back in time and enjoy! A double rainbow over the Canada Line’s Operations and Maintenance Centre — one of the many fabulous photos found at Canada Line Photography. For Friday, here’s the second profile in a series on Lower Mainland transit enthusiasts — our first was on the Trans Vancouver bus photo archive. Look up “Canada Line photos” in Google, and the first hit you’ll get is Canada Line Photography, an enormous repository of terrific photographs chronicling the train line’s construction. So, here’s the interview, and sprinkled throughout you’ll find some of the Canada Line photos that Tafyrn and Seamora consider favourites—they link back to related pages from the Canada Line photo blog, too. Tafyrn, Seamora — thanks again so much for helping me put this together! 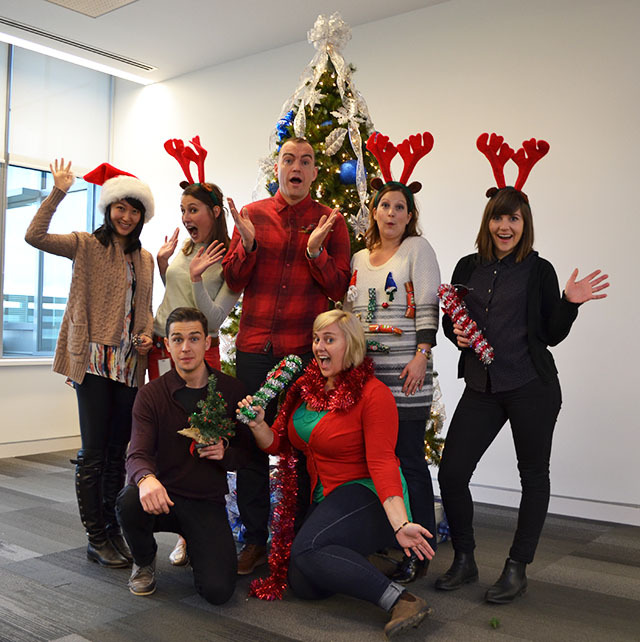 Happy Holidays from the Buzzer blog team! Happy holidays from Mrs Claus, Dasher, Lumberjack Elf, Dancer, Blitzen and Santa’s helpers one and two! 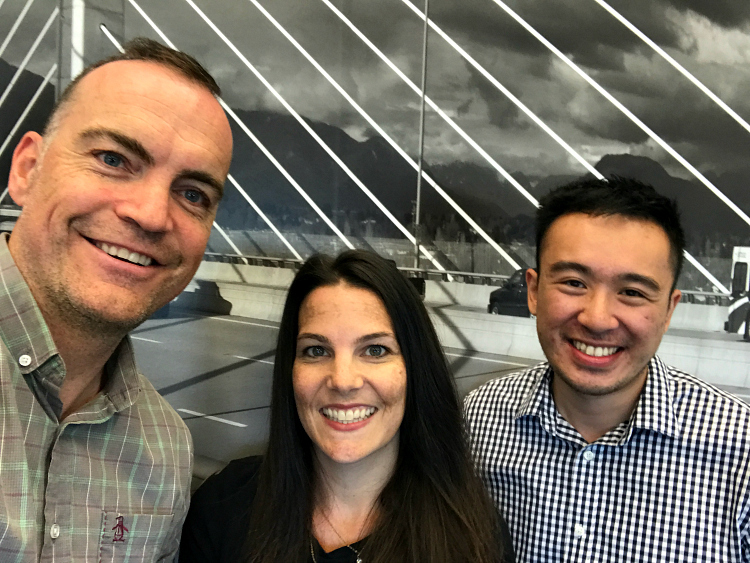 The Buzzer blog team loves bringing you the latest updates from TransLink, transportation news for our region and fun transit tidbits. Thank you to all of our readers for being a part of the conversation here on the Buzzer blog! Just a reminder, the Buzzer team will be off from the afternoon of December 24 until Tuesday, December 29. If you have service related questions, please tweet our Customer Information team on Twitter. From all of us to all of you, have a safe and happy holiday season! It’s been a fun 2015! Hi everyone! I’ll be away from the blog for a couple of weeks. But don’t worry! Adrienne and Laura will be minding the shop in my absence. That said, they’ll both be busy while I’m away so reply to comments may take a little longer than usual. I’ll be back on the blog in the new year! We have a lot of great stories to share including Talking Transit, Compass and much more. Happy holidays to you all and here’s to an exciting 2016! Lisa is someone who told us her story. What’s yours? We all have our transit stories! From our regular bus routes and stations to where we like to sit; favourite places to visit to secret transit tips for a smooth ride. Transit is a big part of many people’s lives in our region! With that in mind, we are starting a new profile series on the blog with video, audio and interviews with riders just like you! Everyday transit user or just an occasional rider, we want to hear your transit story and how it is a part of your life. Profiles will be shared here on the Buzzer blog, Instagram, Facebook and Twitter. Email us with the subject line “Talking Transit” to get started! 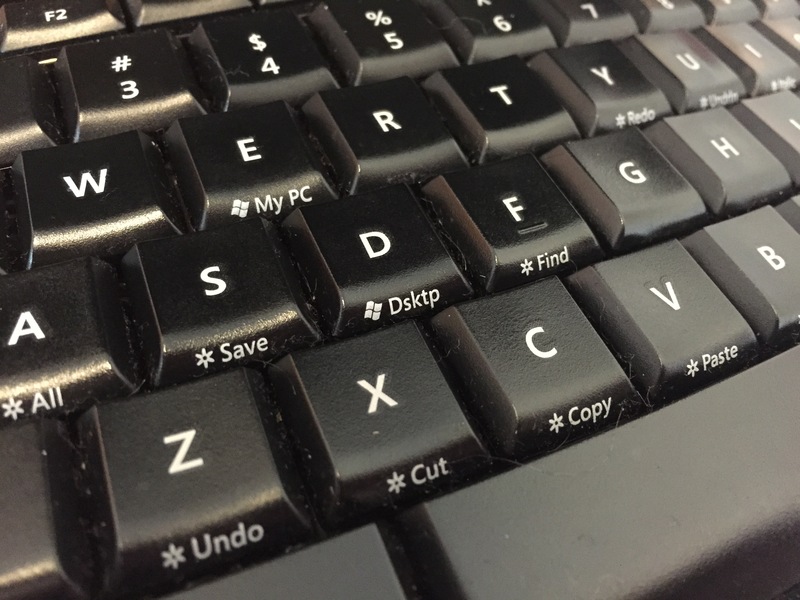 You may have noticed that you have been unable to leave comments on some of our more recent blog posts. Fear not! This is not because we don’t want you to! We love interacting with our Buzzer audience and answering any and all questions you have about our posts and the system. Unfortunately, we have been experiencing some major technical difficulties on our end of the blog, including our comment section. We apologize to all of our readers for this glitch and we hope that we have the issue cleared up so please continue to leave us comments! Below are some of the posts from the past few weeks. Comment on, Buzzer readers, comment on! Lots to Learn at TransLink.ca! If you experience any more issues with commenting, please email us. I should really get a new photo… See you all soon! The blog will be on vacation until August 24, 2015. During that time, Laura will be minding the shop. However, she’ll be busy planning for I Love Transit Week 2015, so don’t expect too many posts and replies to comments between today and the 24th. There’s a lot to talk about and announce when I’m back. The Buzzer blog – what do YOU want to see? The very first Buzzer, ever. 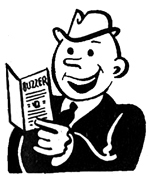 The Buzzer blog was created eons ago (exaggeration for effect!) as an extension to the print buzzer. It was crafted with the idea of giving you, our readers, insider knowledge into the workings of our operating companies and our system in an interactive way. This space is also the corporate blog for TransLink providing updates, policy changes, service issues, etc. Originally, the blog was really our only social channel. Oh my, how we’ve grown! Now we have several social channels all with varying audiences. We know that everyone has different tastes and interests and it’s important to us that you are engaged with what we’re providing. That being said, many things that we post about TransLink as a company will stay. So will some other elements like Links and Tidbits, Transit in the News, polls, interviews with people, visits to places across the system along with fun “insider” series like Transit Police Academy. Many of our shorter posts and images are posted on our Facebook and Instagram feeds. There will be some awesome content in the next few weeks with 125 years of transit in the region AND I love transit at the end of the summer! But right now, we’re asking YOU for YOUR opinion. What do you want to see here? What interests you? What do you think will engage people the most on this blog? Let us know leaving a comment below or email us! Thanks for being a part of our community here and out on the system! 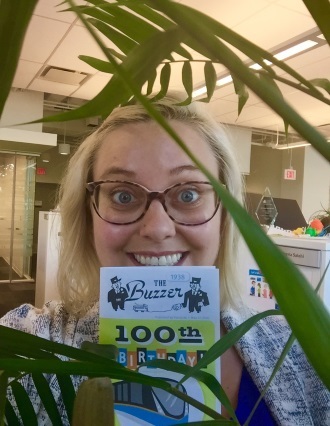 The Buzzer has a new contributor: Meet Laura! Please help me in welcoming Laura to the team! Hello Buzzer Blog readers! I’m the new Student Communication Associate and am excited to be working with the TransLink Communication Team over the upcoming months. Transit has always had a special place in my heart. In my earlier transit riding days, a bus pass was more than a ticket-to-ride, it represented pure freedom. It meant no parent chauffeurs, an open road and countless pizza slices at my destination. My adult self values transit for many of the same reasons. Although less about parents and pizza, the sense of freedom has remained. Transit gets me where I want to go, reduces my environmental footprint and gives me a chance to relax on my commute. 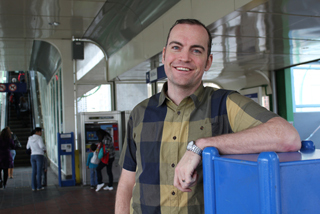 A transit fan through and through, I am super excited to contribute to this blog and connect with the Buzzer readers! I have a background in publishing and I love to read. I’m currently reading Mavis Gallant’s In Transit (total coincidence). Lately, I have been into all foods pickled or spicy. I am a novice gardener learning the ways of plants and soil. So far my struggling basil has kept its ways very secret. See you all on the blog! 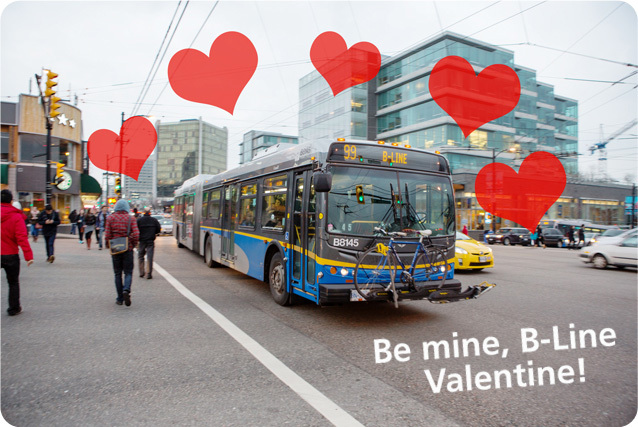 Love is in the air… and on transit! Today is Cupid’s Revenge… sorry, no, that’s not it… It’s Valentine’s Day. Yes! That’s right! Love and hearts and little chubby babies with wings shooting arrows. So, considering today is supposed to be super schmaltzy, we decided to scour the region online and off looking for some not-so-typical love stories. Besides the fabulous “I saw You” section in the Georgia Straight, which I read religiously, a lot of people actually meet their SOs on transit. Remember the beautiful wedding of Nina and Jarred that took place on the bus because that’s where they met? *sigh* Love can definitely be in the air across the system. Check out this romance we found that started on one of our SkyTrains! Laura submitted the story below as her entry in the Cupid’s Crush contest through our friends at the Vancouver Observer in a bid to win the ultimate Valentine’s Day package from Summerland Waterfront Resort & Spa. Turns out, her tale of SkyTrain soulmates won first prize! Take a read, warm your heart and if you’re single, keep your eyes peeled the next time you take transit. You never know, your next great love may only be a transit trip away. But really, let’s remember what the most important thing is about Valentine’s Day… HUGE sales on chocolate come February 15th!! “I had just moved from a small town down to the city a couple weeks before I met my man, Mike. I’d gone to a Christmas party with my cousin and was taking the SkyTrain home. It was one of the first times I was taking the SkyTrain alone, and I had a drink or two (no no, I was not drunk! ), so I wasn’t completely confident finding my way home. There was a very handsome man in a nice jacket sitting a couple empty seats away from me. I snuck a few peeks thinking I was being sneaky (but have recently found out he had seen me peeking in the reflection in the window). The SkyTrain stopped at the station before my stop and the doors wouldn’t shut again. After a few minutes I got up the guts to ask what we should do. It was an instant spark. He had a wonderful smile and we shared some laughs. The SkyTrains started running again, but only going the opposite direction I needed to go, so I had to go all the way back around the track. We sat together and told each other about ourselves and ended up almost at my stop again. I finally realized he hadn’t gotten off at his stop and asked him where he lived. I was headed to New West and he was headed downtown! He’d taken the train all the way around with me to make sure I was going to find my way home – what a sweet heart! He ended up walking me right to my front door. He leaned in for a hug and I went in for the thank you kiss. Planning transit – tougher than it looks! It is a rainy morning at the Vancouver Transit Centre. I’m sitting with a room full of colleagues and five pots of coffee. What do we all have in common? We are all keen to better understand the considerations and strategy behind transit network design…and although we all work for TransLink, none of us are actual transit planners. As an introduction, our fearless instructor Jarrett Walker performs a soliloquy on ridership, density, frequency and demand. His poetry makes us feel at ease. As he presents us with the network design challenges for the course, we are confident that we can find the solutions. Even without the academic training and years of experience, we are certain that using the tools we’ve only just been taught will be “s-i-m-p-l-e”. 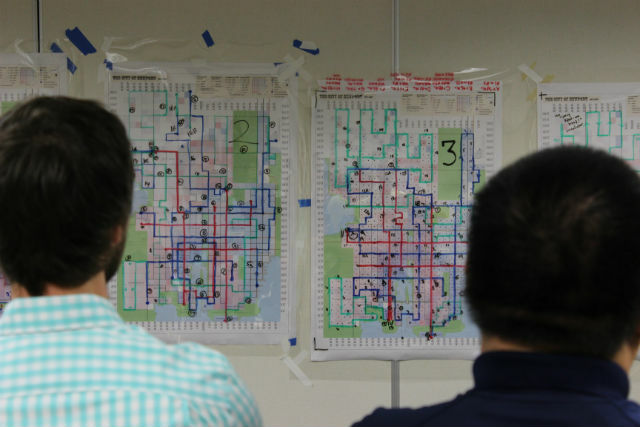 We work in groups to plan multiple transit networks over the two-day course. 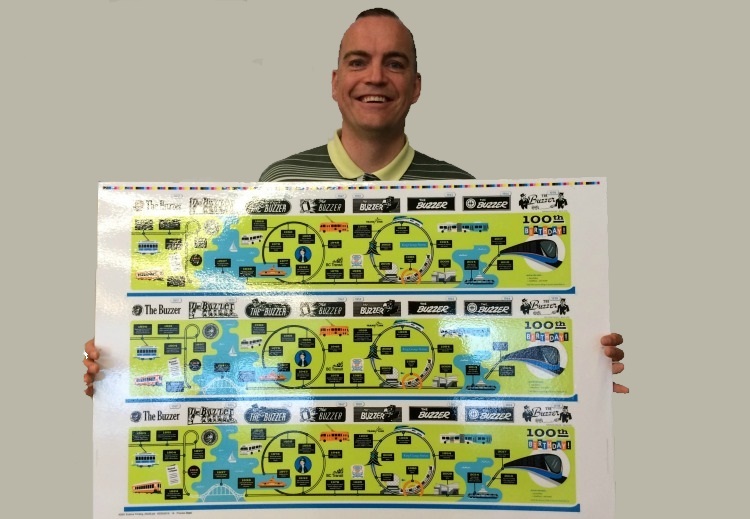 Our tool kit includes a map and a spreadsheet filled with mathematical equations. Our fictional city map showed land-use patterns, population density, landmarks and major roads and bridges. We have a budget and the spreadsheet helps us keep track of how many buses and at what frequency we can afford. I realized during the first challenge that I had underestimated the difficulty of the task. I thought I was using common sense to plan an efficient network. I chose a population dense area and identified a number of destinations: the airport, the shopping district, the hospital. I was planning for how a single person could get to each landmark. I assumed that because these were community destinations it would make sense to have frequent service. But I was wrong. When it was time for the trip test – getting a fictional rider from multiple arrival to destination points– all the networks were put to the test. The network that was most efficient did not focus on single trips; it was designed to connect people from high density areas to as many destinations as possible while maximizing the budget. This was my “Aha!” moment. It was not enough to get the fictional Jane to the airport and hospital, the network had to also get her to the soccer field, her office building and the pet store. Turns out, with finite resources there are mathematical trade-offs and balancing the competing needs to provide access and offer direct and frequent service is not “s-i-m-p-l-e” at all. The course is over and I’ve put away my design pens. The next time I think “gee, I wish I could take transit to the grocery store, but I have to walk a few blocks and it is slower than taking my car,” I’ll take a minute to remember. I’m going to remember that unless many people in my neighbourhood are traveling to the grocery store, post office and hospital every day, throughout the day, there may not be the ridership demand to justify having a high frequency service to accommodate my whims to take the bus to the grocery store.